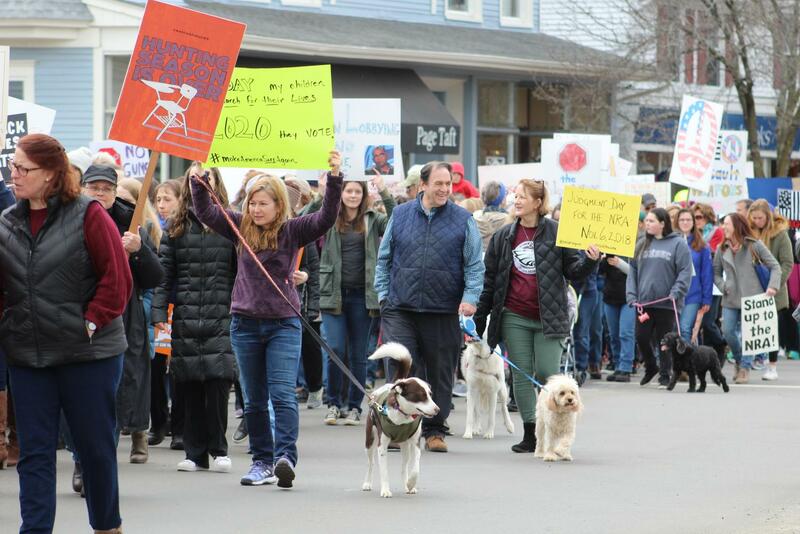 On March 24, Senator Chris Murphy, along with many other speakers and performers, gathered to support “March for Our Lives” in Guilford, Conn.
“March for Our Lives” started as a student-led march in Washington, D.C. as a response to the mass shooting committed at Marjory Stoneman Douglas High School on February 14. Though the Washington, D.C. march was the starting point of the March for Our Lives movement, the activism spread internationally as over 800 other March for Our Lives events were organized around the globe. The Guilford event focused on the theme of young people creating change. One speaker was Grace McFadden, a junior at Daniel Hand High School who read a poem written by one of the Parkland Shooting survivors. She added that she felt as if the American students are growing up faster than those of other generations because of the issues faced regarding gun violence. McFadden brought up that school shootings have become commonplace in the American classroom environment. The march was attended by teachers as well. Donna Larkin, a seventh-grade teacher at Madison Middle School was present, along with two fellow scholars from Yale University, all in attendance to voice their concerns regarding current gun laws and the affect gun violence has in schools. Larkin explained that she, along with many colleagues were out looking for change to protect their students, and maintain the values and standards held in academia. “The idea of putting guns into the hands of teachers is completely against everything that education is about,” she said. Larkin, along with her two peers, agreed that school settings should always be a safe space, with guns in the hands of trained safety professionals, not educators. After a few speakers and performers, the crowd began an 0.8 mile march down Whitfield St. 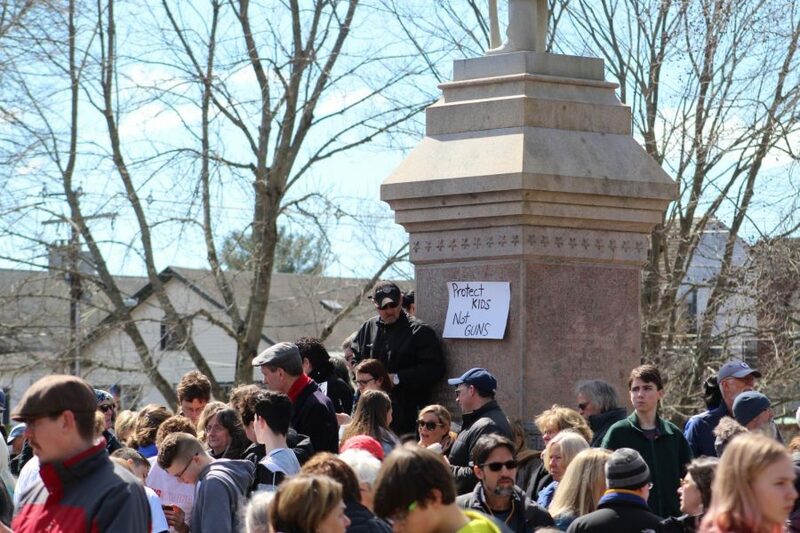 The event’s main organizer, Guilford resident and photographer Frank Blackwell, was capturing photos of the march and assuring operations ran smoothly, when he took time to step aside to comment on the event’s success. “We used social media the way you’re supposed to used social media, but it’s also because we have a subject that everybody wants to pursue,” he said. As the event came to a close, speakers encouraged the crowd to speak up for their values, remember the strength in numbers, and know the American voice for change can be most influential during this November’s voting season.